LATEST UPDATE: Prime Minister Voreqe Bainimarama’s full speech at the opening of the Nasinu Legal Aid Office and announcement on the national flag. This is yet another facility I’m opening to give the Fijian people access to the justice system.As I’ve said before: I regard my Government’s provision of equal access to justice for all Fijians as one of our most important priorities. As I signaled in my New Year’s message at the start of 2013,we need a new flag. But last year, of course, we were consumed with the monumental task of holding our first genuinely democratic election in Fijian history – putting all of the pieces together to bring us to where we are today. The Union Flag belongs to the British, not to us. The shield on our flag has the British Lion and the Cross of St George – a British patron saint. What does this have to do with us? They are the symbols of thecoloniser – Britain – a country with whom we are friends and will continue to be so. But they are not symbols that are relevant to any Fijian in the 21st century. And they should go. Honoured symbols of our past, but not of our future. This National Panel of Citizens – including nominees from the Leader of Opposition– will be set up and selected by Government. All Fijians expect that something so important should be apolitical. So I ask everyone to participate in this most noble of endeavours. The competition and the formation of the National Panel will commence during this month of February. The competition will be open for two months. And the whole selection process has been designed so that we will be ready to hoist our new flag on the 45thanniversary of our Independence – October the 10th, 2015. 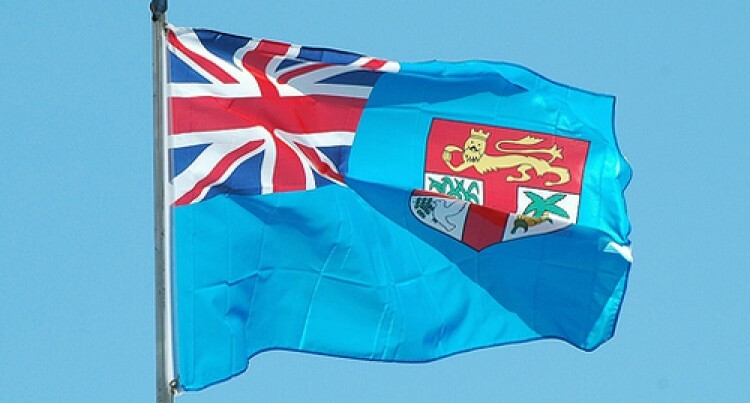 Of course, the design of the new flag will also be considered by Parliament and I will makea ministerial statement when Parliament resumes next week. We want to encourage new designs and symbols, perhaps indigenous flora and fauna that are unique to Fiji. Designs and symbols that are authentically Fijian.We must all have an open mind about the final result, but it should be symbolic of the unity of the nation and instantly recognisable the world over as uniquely and proudly Fijian.